As a homeowner, the last thing you want is a foul smell coming from a sewer pipe that has issues. For a long time, the diagnosis of a sewer pipe located deep in the earth has been one of the toughest and devastating tasks. The bad odor and disgusting sight when sewage backs up into a home is unbearable. That means the quicker you get to the root of the problem, the more comfortable your home will be for everyone to stay. The good news is that advancement in technology allows a plumber to narrow down the issue and offer you a quick and effective solution. Here is more on fixing drain line issues. Sometimes the roots of trees roots grow, extend and intersecting sewer pipes. This causes damages to the sewer pipes. Essentially, tree roots are the leading cause of a great deal of sewer problems at home. 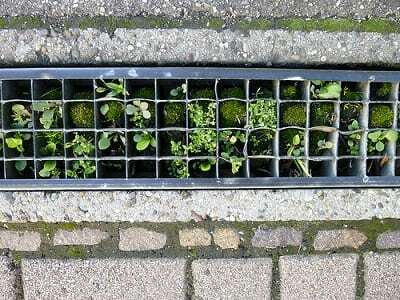 This is because as their roots grow deep into the soil and become longer and stronger, they lead to obstruction, which eventually brings about damage to the sewer lines. Therefore, you should check your home perimeter to see if there are trees around. If there are a few trees, they could be the culprits in this case. Ground shift happens when the earth sinks around your home. More often than not, the earth will settle first and then sink, bringing about the ground shift. As the shift in ground occurs, excessive pressure is placed on the drain lines making them more susceptible to damage. Therefore, if you note any signs of ground shifting in your home, call in a contractor to come and inspect your drain lines for any damage that may have occurred during the shift. Many sewer pipes are actually made out clay pipes. That means that just like any other organic thing on earth, they are going to wear out in the end and become less effective. Invariably, a typical drain line made out of clay will last for a period between 30 and 50 years. After around 50 years, your drain lines will inevitably wear out and crumble before completely breaking down in the long run. Even if you may choose to have iron drain lines instead of clay pipes, you would still have to deal with the issue of corrosion that badly affects the functionality of drain lines. There are drain lines that are made out of PVC plastic piping. These kinds of drain pipes are particularly sensitive to water temperatures. As long as water flowing through the pipes has an ideal temperature, you will not get any damages. However, if the temperature of the water flowing through the drainage pipes exceeds the standard temperature for PVC plastic piping, you are likely to get damaged drain lines at home. It is important to know all the factors that lead to drain line issues. This is because it will help you get to the root of the problem easily and find an effective solution.